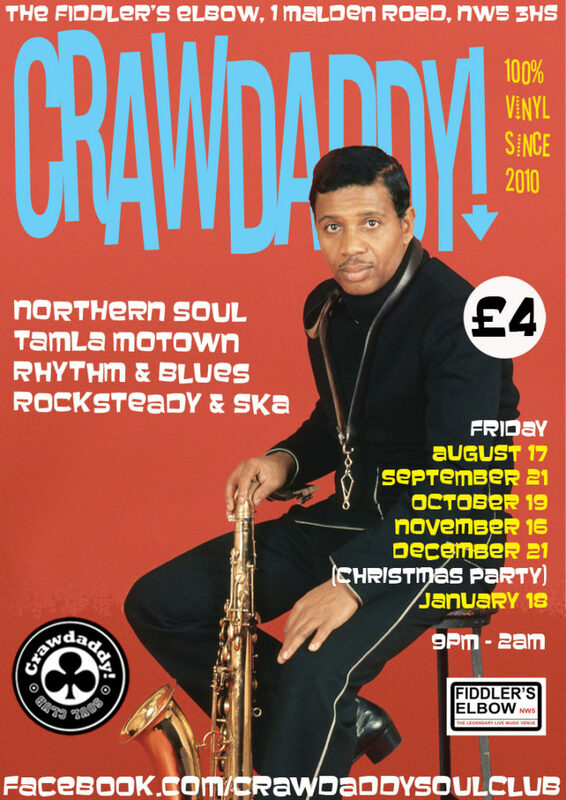 It’s the third Friday of December so it must be the Crawdaddy! Christmas party! Dishing up quality tunes, Quality Street, crackers (maybe) and cracking visuals are regulars Gary, Lucienne and Danny, playing the finest northern soul, mod, Motown, vintage R&B, Two Tone, ska and rocksteady, all on vinyl. Guest DJ tonight is Alan Handscombe-McGrath, a veteran of the London mod and soul scene for over 30 years, who recently ran the popular RnB123 club night. Making a very welcome return to the Crawdaddy! decks, Alan will be playing a mixture of Motown, Northern and Jamaican sounds.